15 years as a copper earning better than most was not enough for this snake. Greedy people cannot help themselves to the big pie it seems. Including coppers who are supposed to fight against this stuff. “Mike Featherstone” might sound like a new Hollywood Cop comedy film that might of been played by the late great Robin Williams…but this ex copper is a crim, a traitor and a grub, a liar, informant and insider. A former senior police detective is at the centre of a major corruption and money laundering investigation by Queensland’s Crime and Corruption Commission (CCC). 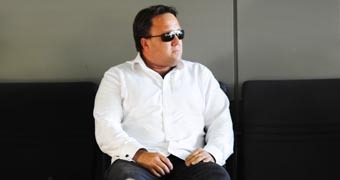 Investigators are probing Michael Featherstone’s links to senior serving and former police officers on the Gold Coast and elsewhere, his possible connections to bikies and his role in cold-calling companies alleged to be involved in fraud. The companies, which advertise horse-racing betting software and other investments, are alleged to have defrauded hundreds of people across Australia in scams worth millions of dollars. 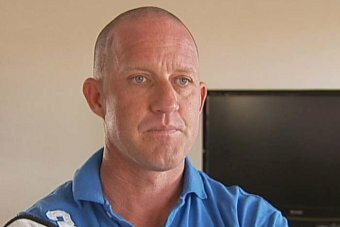 The ABC can reveal that officers from the Queensland police anti-bikie taskforce Maxima found suspected links to Mr Featherstone, a former fraud squad detective and one-time head of Surfers Paradise CIB, while investigating fraud allegations against members of the Black Uhlans and Bandidos outlaw motorcycle clubs earlier this year. Police raided a number of premises including the Southport offices of Mr Featherstone’s private investigations company Phoenix Global, taking away computer equipment. They referred the matter to the CCC because of the body’s forensic accounting expertise and the possible involvement of police officers in protecting Mr Featherstone, his clients and associates. I naturally asked, ‘what’s this money for?’ and they said it was ‘just wages, we’re just lining it up before Christmas and this is just wages for staff and profits from the horse racing software’. The CCC has set up an operation called Lima Violin II to investigate fraud allegations involving three companies: UK Home Based Business (UKHBB), Lay Trading Solutions and Pegasus Trader. However, a parallel investigation by the ABC’s 7.30 program has uncovered evidence of the involvement of Mr Featherstone and Phoenix Global, not only with two of these companies but a range of alleged Gold Coast scams dating back almost 10 years. They are linked to the Gold Coast private investigator in various ways – through his involvement in recruiting and managing patsy directors on behalf of others, by his own direct role as a director or shareholder, or by his providing advice on how to set up, run and protect such operations. The ABC has identified dozens of customers of UKHBB who between them lost almost $4 million. Several have told the ABC they received emails earlier this year saying their accounts had been suspended because of a “software problem”. But the ABC has established that there was no software problem: the order to close UKHBB came late last year from Phoenix Global. Correspondence obtained by the ABC shows Phoenix Global recruited and gave day-to-day instructions to the directors of UKHBB and Pegasus Trader to carry out banking and other administrative jobs. Johnny Kane, who works as a security guard, was recruited to be the director of UKHBB. He has described to the ABC how Mr Featherstone convinced him to be the front-man for UKHBB and other companies, though Mr Featherstone had no official links with these companies and was not part of their management. Mr Kane said his duties had also included picking up large quantities of cash from the bank and delivering it to the offices of UKHBB and Phoenix Global. “Before Christmas I was asked to do that for about four days,” Mr Kane said. “We’re talking $40,000 per cheque, three times a day, for about a week. Infographic: An extract of a bank statement for UKHBB, showing cheque withdrawals. In an email from Phoenix Global to Mr Kane dated December 12, Mr Featherstone’s son Zach asked him to “be available to close the UKHB bank accounts on the 24th of December 2013″. Bank statements show UKHBB collected at least $4 million in fees for trading licences in the second half of last year. More than a quarter of this was received in December. Almost $500,000 was immediately withdrawn from the account by cheque in round amounts of between $5,000 and $40,000. A few weeks later the account was empty. Separately, the ABC has established Mr Featherstone and Phoenix Global have played a central role in a series of other race-betting syndicates with a network of associates in Australia and overseas, one of whom is a convicted fraudster. 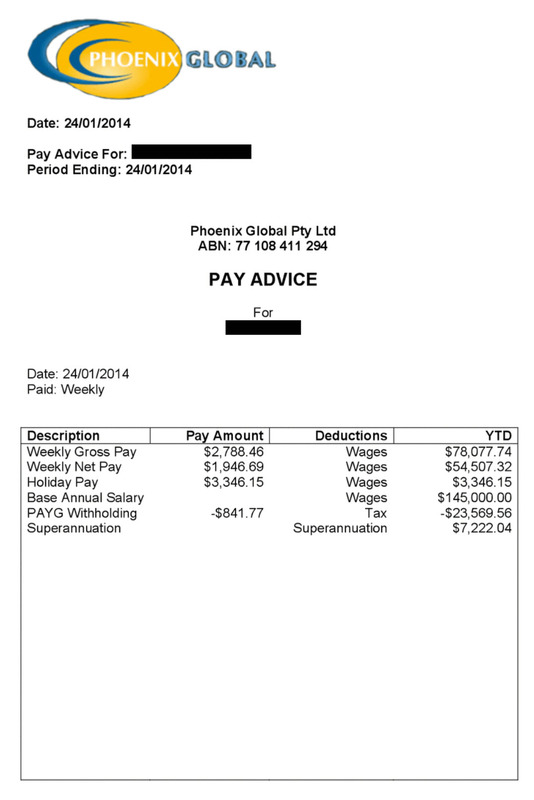 Other documents show Phoenix Global used the name of someone who never worked at the company to create fake payslips that were used this year to obtain $150,000 of car finance as well as credit cards for one of these race-betting syndicates. In a statement issued by his lawyers, Mr Featherstone denied any involvement in the running or management of UKHBB or any other race betting or software operation. He acknowledged the instruction to close the UKHBB account had come from his office but said it was a “risk management” measure because of a “security breach”, without providing further details. Mick Featherstone served in the QPS from 1981 until late 1996. Called as a witness by the 1997 Carter Inquiry into police involvement in the drug trade, he denied wrongdoing over the alleged disappearance of more than $20,000 in seized drug money while it was in his custody at Southport watch house. He was also investigated over allegations he planted drugs on a suspect with whom he was personally connected, and his connection to a barrister who was under police investigation. No charges were ever brought against him. Mr Featherstone resigned from the QPS at age 33. According to the QPS he did so under special arrangements following a recommendation from the Commissioner. Media reports at the time said this allowed him to get a significant payout. Phoenix Global has provided “compliance” services to a range of companies on the Gold Coast, some of which are race-betting operations registered in Vanuatu. It specialises in finding and removing adverse or defamatory internet posts about its clients, and offers investigative services to people facing criminal charges. He has also worked for three-time bankrupt property spruiker and so-called “King Con” Dudley Quinlivan, and is a director of several companies connected to Michael King, who is being prosecuted by ASIC for allegedly acting dishonestly over a $150 million loan. The Queensland Office of Fair Trading, which licences private investigators, declined to say whether it had ever received complaints about Mr Featherstone or Phoenix Global. Mr Featherstone has been photographed socialising with senior serving officers, was endorsed online by a Brisbane inspector and even gave a speech at a recent send-off for a high-ranking Gold Coast officer. According to his lawyer, Mr Featherstone “was asked to make a short speech” at the event, a “farewell retirement for an officer he had served with in the 1980s”. The lawyer said Mr Featherstone “has no friendship or association with any serving police officer”. A former detective has told the ABC that he discovered Mr Featherstone’s social links to this high-ranking officer while investigating fraud allegations on the Gold Coast and raised it with his superiors. “They told me, ‘don’t go there’,” he said. Mr Featherstone was the subject of a detailed complaint to Queensland’s Crime and Misconduct Commission in 2010 after it emerged he had done the work of Gold Coast police in collecting witness statements in a trespass case where the complainant was one of his clients. There is no evidence of any action being taken against him. NSW private investigator Ken Gamble, working on behalf of a group of scam victims, presented a detailed brief of evidence naming Mr Featherstone to the Queensland police fraud squad in 2012, but received no response. The Queensland Police Service (QPS) said in a statement it had requested further information from Mr Gamble and that it had not been provided. Mr Gamble said police had never made such a request and the QPS statement was “false and misleading”. A key figure in the scams is alleged to be Phil Cropper, who is said to have been the sales manager of UKHBB and to have run other boiler-room operations linked to Mr Featherstone. 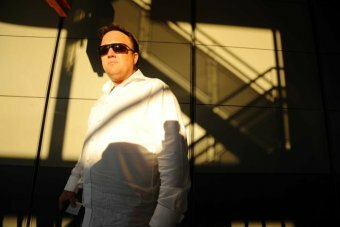 Mr Cropper, a former nightclub owner who was acquitted of an extortion attempt on actor Russell Crowe in 2002, is thought to have fled overseas since the raid on Mr Featherstone’s premises and the ABC has been unable to contact him. Mr Kane said he now faced bankruptcy because of lawsuits filed against him by victims. Mr Kane said that while UKHBB was operating he had frequently sought and received reassurance from Mr Featherstone that what he was being asked to do was legal. He said his home had been raided by police in February and he had later been shocked to find how widely known Mr Featherstone’s activities were on the Gold Coast. “When I went to Legal Aid to tell them about my story, they finished my story for me. They knew exactly what I was talking about,” he said. “They rattled off a list of names and said ‘did you work for one of these people?’ and I knew all the names. A romance scam is a confidence trick involving feigned romantic intentions towards a victim, gaining their affection, and then using that goodwill to commit fraud. Fraudulent acts may involve access to the victims’ money, bank accounts, credit cards, passports, e-mail accounts, or national identification numbers or by getting the victims to commit financial fraud on their behalf. 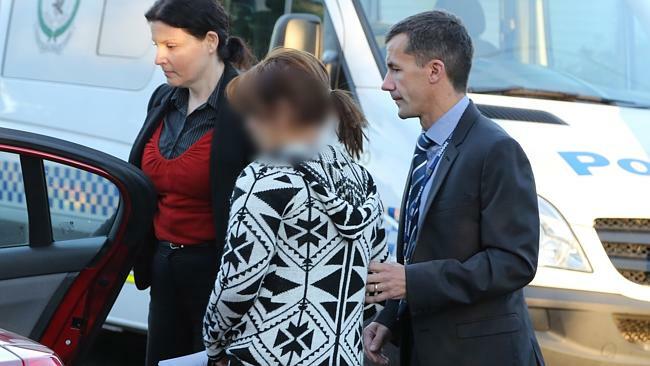 The suspect, a mother of four, is led away by police in Miller in Sydney’s west. A SINGLE mother on benefits prowled lonely hearts messages online and in ­newspapers to “romance scam” more than $2 million from lovelorn men. 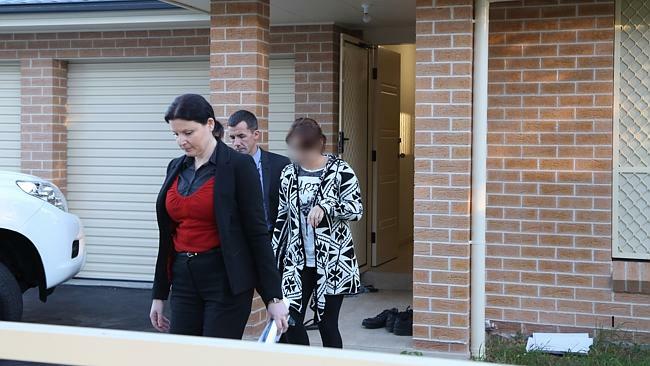 The 39-year-old woman was arrested yesterday at her Miller home in Sydney’s West and is understood to be the first person in Australia to be charged with the crime more commonly associated with Nigerian fraudsters. The woman allegedly scammed four men using a variety of convincing stories. The mother of four children, aged two to 16, received $1500 a fortnight in social ­security benefits. But she ­allegedly spent the proceeds from her romance fraud on sports cars, exotic holidays, Louis Vuitton handbags and plastic surgery. She also allegedly bought a house in Miller, tore it down and built a new one. Three of the men handed over money to the woman without even meeting her while one, an interstate ­businessman, had a sexual ­relationship with her at a north shore apartment that he owned. “This woman was very good at convincing men that she was in love with them and that they were in a relationship,’’ said Detective Superintendent ­Arthur Katsogiannis, the head of the NSW Fraud and ­Cybercrime Squad. Police will allege the woman had five bank ­accounts and spun a number of sob stories to the victims, which all ended in her needing them to put money in her bank accounts. “She would tell the men that a relative in Egypt had died and she needed money to get the funds released from the state or her child needed an operation in Melbourne,’’ Detective Katsogiannis said. Police will also claim she laundered the money by buying expensive cars and then selling them at a loss. One victim was allegedly duped of $1.9 million and the other three gave over $190,000, $58,000 and $12,000. Two of the men were aged in their 60s and another two were in their 70s. Police believe the woman could have many more victims. “This sort of scam is often operated from overseas and we believe this is the first time anyone has been charged with doing it in Australia,” Detective Katsogiannis said. 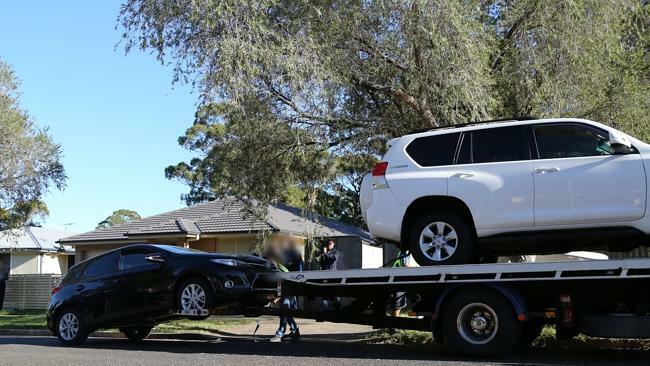 Police froze more than a $1 million in cash and assets and yesterday seized cars from the woman’s home. The woman targeted older men who placed ads on singles message boards Lavalife and Meeting Point. “We live in a world where love has grown cold, loneliness is increasing,” Detective Katsogiannis said. Remember in the old movies when you did something bad you were threatened with being sent to the Siberian salt mines? How times have changed. A mysterious bunch of couples from Siberia came to the Gold Coast a few years back for a so called holiday and opened up dozens of bank accounts. 30 million dollars in overseas deposits later and wild spending sprees drew the attention the law enforcement here concentrating on Money Laundering. Mmmmm so where did the cash come from, as most had modest incomes according to their applications. I would be guessing DRUGS. I really hope the application to confiscate the money on proceeds of crime is SUCCESSFUL. The Australian Federal Police (AFP) will move next month to confiscate nearly $30 million, frozen in Queensland bank accounts, belonging to nine Russian nationals. The Russians claim to be wealthy businesspeople but the AFP argues their fortune is “entirely incompatible” with their modest income and there is reasonable grounds to suspect the money is the proceeds of crime. A forfeiture order will be lodged with the District Court on June 18 and if the AFP is successful, it would be the largest ever seizure of alleged dirty money in a case involving no criminal charges. Dr David Chaikin, a banking and financial law expert from Sydney University, says the Russians are no longer in Australia and will have to explain themselves through their lawyers. “What’s been alleged is that the Russians engaged in money laundering and used Australian bank accounts through which to launder it,” he told the ABC’s 7.30 program. According to a police affidavit submitted as evidence, the nine Russians made six trips to Queensland’s Gold Coast between December 2010 and March 2013. The group, which includes three married couples, opened bank accounts with the ANZ in Surfers Paradise each time. The balance of each of those accounts grew suddenly thanks to a series of international money transfers from eight foreign companies with bank accounts in Hong Kong and mainland China. By December 2013, the Russians had opened 24 bank accounts and their combined fortune had reached a staggering $29,250,681.74. Bank account transaction records reveal the Russians like to shop and have expensive tastes with more than $1 million spent on fashion, jewellery and overseas holidays. The group bought $287,271 worth of designer clothing from Oscar Collezioni and $127,666 at Swiss jewellery store Bucherer. They also spent $91,531 on flights to Italy, Switzerland, Dubai, Thailand and Australia, where they visited the Great Barrier Reef and the Gold Coast. The police affidavit states this extravagant lifestyle is “entirely incompatible with the declared income of the nine Russians”. According to their tourist visas, the Russians earn between $11,000 and $65,000 per year. Dr Chaikin says that discrepancy would have caused Australian authorities to become extremely suspicious. “If you’re earning less than $100,000 and you’re bringing in $30 million, that doesn’t make any sense at all,” he said. The AFP says the Russians are from Irkutsk, one of the largest cities in Siberia. Their visas suggest seven of them work for Baikalquartzsamotsvety JSC, a company specialising in mining precious stones. The law firm representing the group, Doyle Wilson Solicitors, has provided the ABC with a statement. “None of them have any criminal record in Australia, Russia, or elsewhere,” it reads. “They are legitimate businessmen involved in the mining industry and the food processing industry in Russia and other countries. “They travelled to Australia on a number of occasions between 2010 and 2013, including on some occasions with their children, for regular tourist activities, and not only for the purpose of opening bank accounts. A court order requires the Russians to provide sworn statements explaining how they obtained their wealth but Doyle Wilson Solicitors has appealed the order on legal grounds. If the AFP wins the court case, Dr Chaikin says the victory would provide a timely boost to the reputation of federal law enforcement agencies. “This year, Australia is being subject to a review of its anti-money laundering laws and procedures by the Financial Action Task Force (FATF),” he said. Criminologist John Walker says while confiscating $30 million would undoubtedly be a victory for authorities, the figure is a drop in the ocean. “There is so much money that escapes, that gets through the net,” he told 7.30. Mr Walker has previously worked for the United Nations and the Australian Transaction Reports and Analysis Centre (AUSTRAC), Australia’s anti-money laundering organisation. He says it is dead easy to launder money and get away with it. “[Australia is] actually a very good place to launder money,” he said. “That’s not because there are deficiencies with what AUSTRAC does. It’s because this is such a good place to invest. Australian banks are required by law to report every international money transfer to AUSTRAC. Dr Chaikin argues more could be done with that information. “Our record on collection of financial intelligence is second to none in the world,” he said. “The issue really is to what extent do we use that intelligence and the investigative skills of the AFP and other law enforcement agencies to effectively enforce anti-money laundering laws.